With Autumn arriving with a vengeance, it is time for many breweries to introduce their harvest ales! 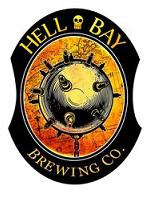 Formerly known as Rusty Anchor Brewing Co, the newly named Hell Bay Brewing Company offers a high quality local beer that is sure to satisfy anyone looking for locally made products. Their beer is made from premium malts, hops, and yeast, handcrafted in small batches to ensure freshness. "Our wet hopped Farm House Harvest Ale featuring fresh hops from Meander Farms will be available this weekend in the 2l growlers". Congratulations to those fortunate enough to be close to the brewery. It is sure to be delicious.